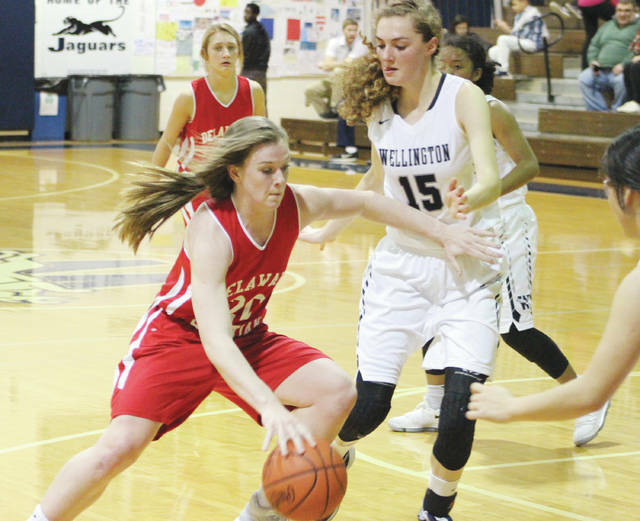 Delaware Christian’s Lyssi Snouffer, left, averaged 24.4 points, 18.8 rebounds and 3.2 steals per game this season — numbers good enough to earn her All-Delaware County girls basketball Player of the Year honors. Snouffer put up video game numbers as a post, averaging 24.4 points, 18.8 rebounds and 3.2 steals per game to lead the Eagles, who went 12-10 overall and 7-5 in the Mid-Ohio Christian Athletic Conference. She went for 41 points and 37 rebounds in DCS’ win over Tree of Life Jan. 25. Travis Stout got just about all one could want in his first season at the helm of the Buckeye Valley girls basketball team. The Barons went 19-7 overall and 10-4 in the Mid-Ohio Athletic Conference, good for second. BV capped the season as a district runner-up, reaching the final for the first time since the school won it 25 years ago. Honorable Mention: BIG WALNUT – Abby Facemyer (So.) and Avery Schone (So. ); BUCKEYE VALLEY – Dani Grether (So.) and Alaina Radcliffe (Sr.); DELAWARE CHRISTIAN – Anna Fuller (Sr.) and Abbi Maurer (So. ); DELAWARE HAYES – Alexis Amabile (Fr. ), Katie Smith (So.) and Jessica Walker (Sr.); OLENTANGY – Lauren Biehl (Sr.) and Grace Pennington; OLENTANGY LIBERTY – Kelly Levering (So.) and Gina Santangelo (So. ); OLENTANGY ORANGE – Alyssa Feeley (Sr.) and Anna Grabau (So. ).